It’s a Sunday morning, in February, in Seattle. …right now I am on a trend of spinning wool that is not dyed..trying to pull ideas from the original colors. The scarf in the picture is a great example. The wool is so pretty in its natural state that it seems odd to disrupt that. I love quiet mornings, when I can get at the wheel before the day takes over. Let’s see where that leads! 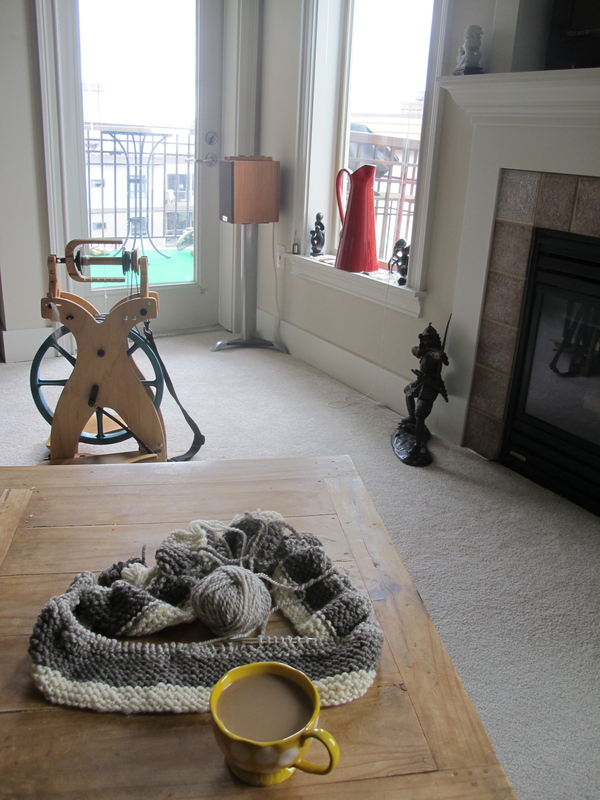 This entry was posted in Yarn as art and tagged knitting, Spinning, sunday mornings by Leah. Bookmark the permalink.